Tonight's WWE RAW will take place from the Staples Center in Los Angeles, California with the fallout from last night's Survivor Series pay-per-view. No matches have been announced for tonight's RAW but that will likely change during the day. WWE Universal Champion Brock Lesnar is not being advertised for tonight's show but the usual red brand Superstars are all scheduled. When Universal Champion Brock Lesnar hit WWE Champion Daniel Bryan with an F-5 to win an intensely competitive Champion vs. Champion main event last night at Survivor Series, Raw officially went 6-0 against SmackDown LIVE, making it a clean sweep. Now that Team Red have reigned supreme at three consecutive Survivor Series events, Raw Commissioner Stephanie McMahon, Acting Raw General Manager Baron Corbin and the entire red brand roster will be in a celebratory mood tonight in Los Angeles. By playing (reasonably) well with others and scoring four consecutive eliminations for the Raw Men’s Survivor Series team last night, Braun Strowman dealt SmackDown LIVE its fourth loss of the night, but rather than applaud The Monster Among Men, Acting Raw General Manager Baron Corbin instead attacked the behemoth from behind, celebrating with Bobby Lashley, Lio Rush and Drew McIntyre and having a good laugh at Strowman’s expense. He won’t be laughing long, however. Per Raw Commissioner Stephanie McMahon, Strowman will get a match against Corbin in the very near future, as well as a Universal Championship Match against Brock Lesnar. When will both opportunities arise? Perhaps we’ll find out tonight. After defeating United States Champion Shinsuke Nakamura in a Champion vs. Champion Match last night, Seth Rollins learned that he would be defending his Intercontinental Title against former Shield brother Dean Ambrose in four weeks at WWE TLC: Tables, Ladders & Chairs. The Lunatic Fringe has been dodging The Kingslayer ever since he betrayed Rollins on Oct. 22, but there will be nowhere to hide when the two former friends lock up for the workhorse title on Dec. 16, streaming live on WWE Network. How will both of these Superstars prepare for their now-inevitable (and assuredly brutal) in-ring encounter? As Sasha Banks was about to put away Asuka to win the Women’s 5-on-5 Traditional Survivor Series Elimination Match, Nia Jax knocked The Boss off the top rope and left her vulnerable to the Asuka Lock. Then, The Irresistible Force — who broke SmackDown Women’s Champion Becky Lynch’s face just days prior — incapacitated The Empress of Tomorrow with a series of leg drops and before sealing the win for Raw with a thunderous Samoan Drop. Even though Team Red won Survivor Series’ first match, the win was marred by Jax’s controversial actions. As Banks no doubt plans some form of payback, the self-proclaimed “Facebreaker” looks ahead to a guaranteed Raw Women’s Championship Match against Ronda Rousey. With Nia Jax eyeing her Raw Women’s Title, Ronda Rousey must also contend with serious injuries sustained at the hands of Charlotte Flair. The Queen snapped during their Champion vs. Champion Match last night and pummeled The Rowdy One with Kendo stick strikes, a Natural Selection onto a steel chair and, after wrapping said steel chair around Rousey’s throat, a stomp that drove part of the chair into the Raw Women’s Champion’s trachea. What will be the fallout from this heinous attack? 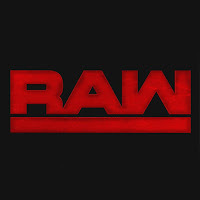 Don’t miss any of the action tonight on Monday Night Raw, live at 8/7 C on USA Network!